I was sitting on my balcony, melancholic after Caz’s departure and knowing that the swim events are nearly over and my basement will be dried up. As the tears streamed down my face, the afternoon sun caught my eye as the cold August – remember, I live in Australia, mate etc. – winds hit my face and brought me back to reality. I need a drink and I need to share it with my second favourite Jujubee. I reached for my phone as the sun continued to set and conveniently saw a message from the divine Julie Delpy. Like Liza in SaTC 2, had I manifested her? Despite being extremely concerned about the fact she so easily broke into my house with me sitting five meters from the door without noticing AND the fact she broke in by using an axe to break down the door, she is an Academy Award nominee, French and I love her, so I ran into her arms and cried about the less skin I will be seeing in week two of the games. I first met Delps in the 1990s while filming Before Sunrise. I was dating Ethan Hawke at the time, hoping that having a relation of Tennessee Williams inside me would make me great. While it made me feel great, our relationship wouldn’t last as I was too busy running scams / being deported. Unable to return to the US with Ethan, Delps took me in and cured my heartache as we bonded over a mutual love for day drinking. While it took Delps a while to pull me out of my latest funk, she reminded me that the 100m sprint was still coming up, Bloom and Bieber may continue their peen off and there were drinks to be made. 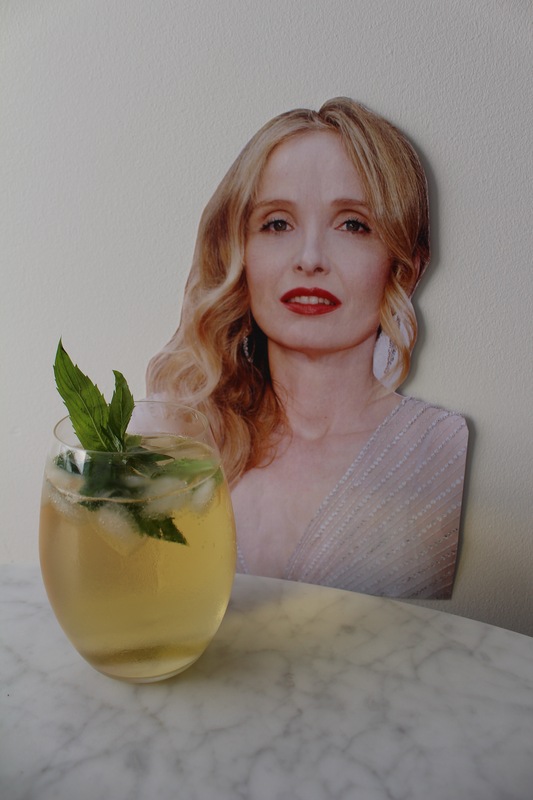 With a sense of duty, I made my way to the bar to whip us up a Mint Julie Delpy while she ran me through the remaining events with scantily clad men. Like Delps, these delights are sweet and all at once delicate and strong … but maybe that is my heavy handedness with the shots? Another one of those tough recipes to master today guys! Place the mint and sugar in the bottom of the glass and muddle together until the leaves are breaking up and releasing their flavour. Add a bit of soda water, add the ice and top with bourbon and soda water to taste. 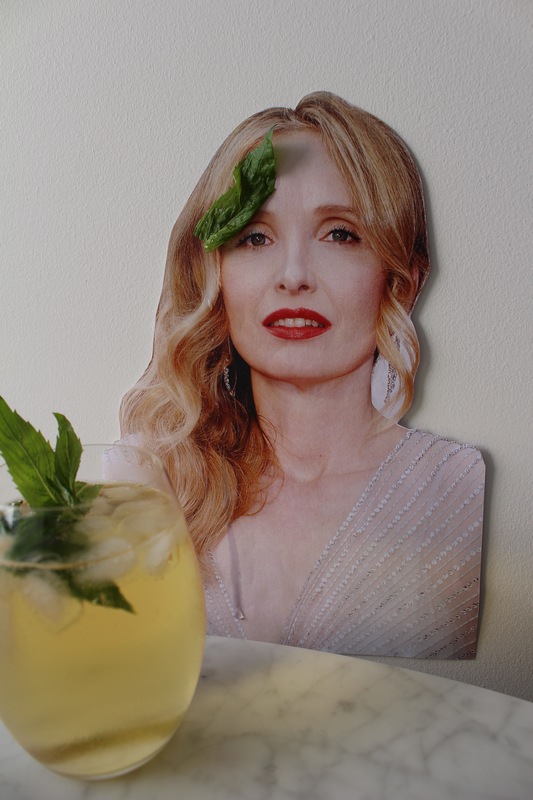 Give it a stir, garnish with a sprig of mint and down.